Ricky Tyler Landscapes provides the complete service of both commercial landscaping and garden maintenance for High Wycombe properties, and also covers the surrounding areas. We pride ourselves on offering budget-friendly rates for a reliable and efficient service, covering seasonal jobs as well as year-round grounds maintenance. We are also experts in commercial landscaping projects - there is no job too big! Our garden maintenance solutions cover the full range of services from lawn care and turfing to large scale hedge trimming and cleaning. 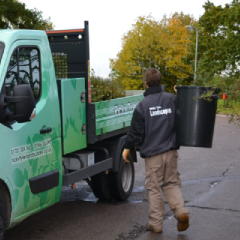 We work throughout the year and ensure our workforce is a friendly, highly visible presence, dedicated to keeping your gardens in pristine condition. We operate in High Wycombe, and also have teams covering Piddington, Marlow, Beaconsfield and Amersham. We are confident in meeting your grounds maintenance and commercial landscaping requirements, whatever the task. At Ricky Tyler Landscapes we appreciate the value of well maintained grounds in projecting the best public image possible for your property. For this reason, we can provide carefully created grounds maintenance plans which ensure your land is always kept in the best possible condition. Similarly, with commercial landscaping projects, we understand disruption to your site should be kept to a minimum, and go the extra mile to make sure that your grounds are kept as tidy as possible for the duration of each project. We have been meeting clients' garden maintenance requirements since 2002, and can pass on the benefit of over a decade's worth of experience. We treat each garden maintenance project with the same professionalism that we would a commercial job, meaning you can rest assured your outdoor space is in the right hands. 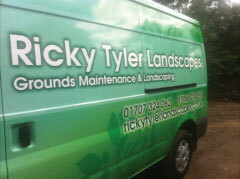 Ricky Tyler Landscapes can provide gardening and grounds maintenance services including High Wycombe Grounds Maintenance covering High Wycombe, Buckinghamshire .